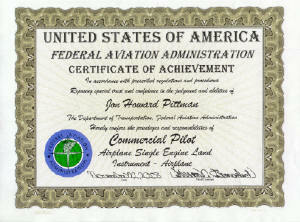 Does a commercial pilot certificate have a specific expiration date? Yes, it expires at the end of the 24th month after the month in which it was issued. No, it is issued without a specific expiration date. No, but commercial privileges expire if a flight review is not satisfactorily completed each 12 months.